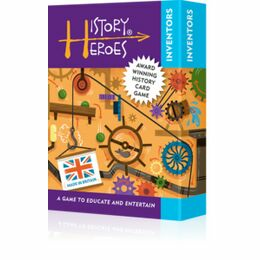 An award winning game to educate and entertain, this History Heroes Card Game - World War 1 features 40 of the most significant World War 1 characters on beautifully illustarted cards.  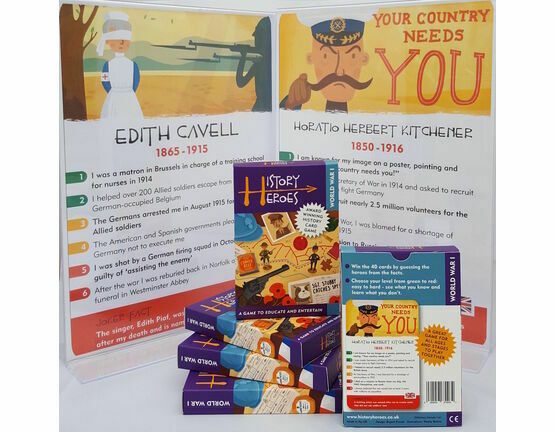 Each card features a different well known World War 1 hero, with information about them, and interesting facts. 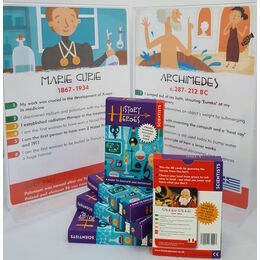 The aim of the game is to win as many cards as possible by the end of the game, and this can be done by guessing/knowing the facts on each card! 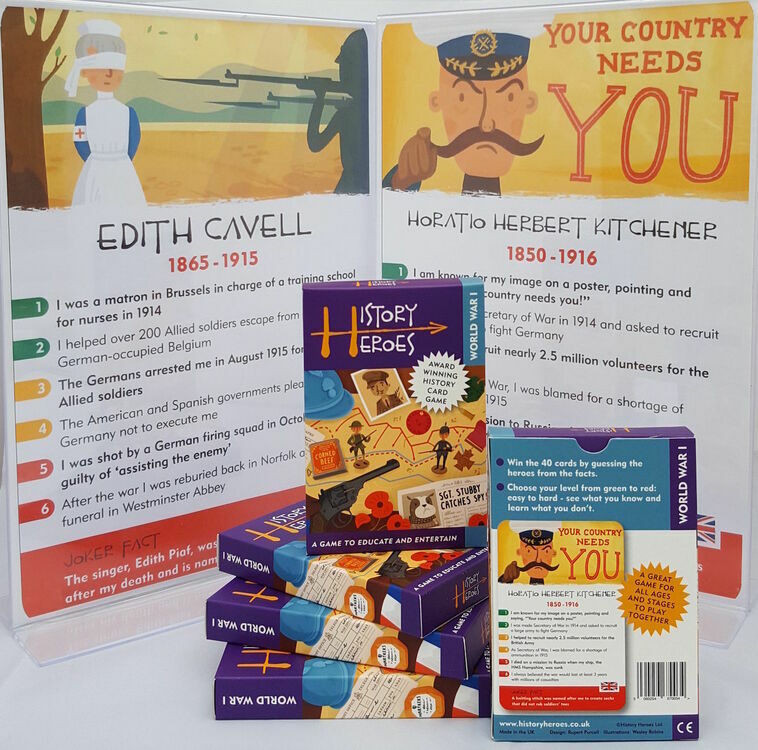 The green facts on the cards are the easiest, and you can work your way up to learning the red facts off by heart! 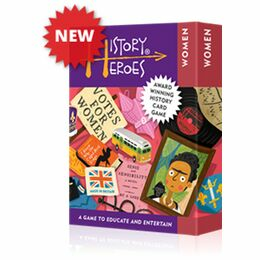 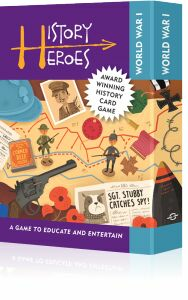 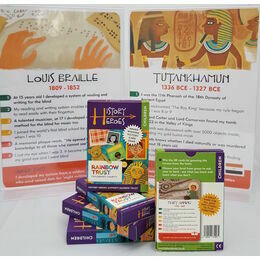 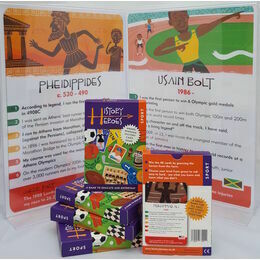 History Heroes' engaging and entertaining card games bring your favourite historical figures to life through stunning illustrations and head-spinning facts.